The newly built Lagoon 400S2 "Ipanema" will be delivered to its base in Athens, Greece and ready for the 2014 summer season. 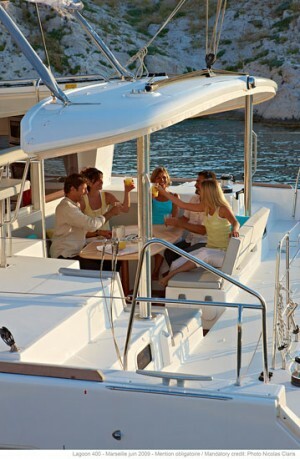 "Ipanema" is a very comfortable catamaran, available in a 4 cabins, 4 bathrooms version for guests' greater convenience. The Lagoon 400 S2 model has received a newly designed interior, that will make for an even more spacious saloon than before. We are excited to share this great news with you and to offer this extraordinary yacht to our esteemed clients.